We are so happy with the results of this beautiful bathroom project that included much more than the bathroom! 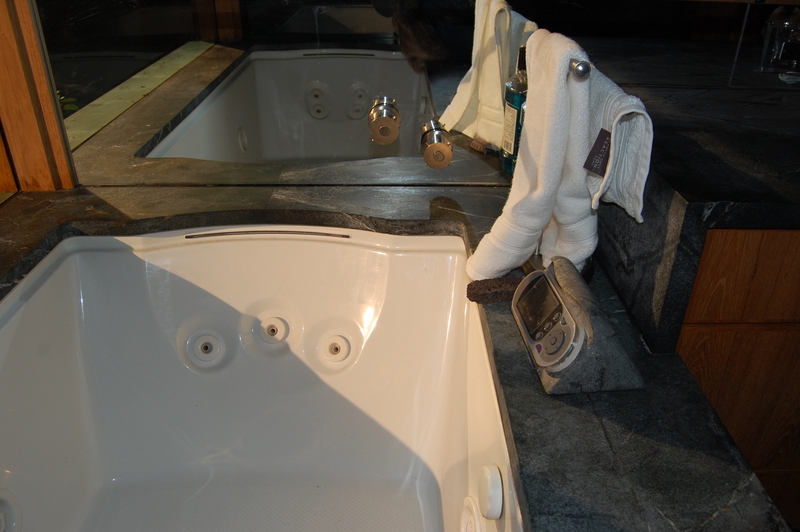 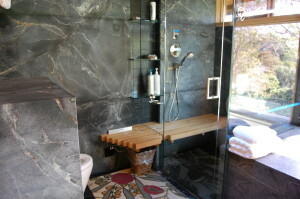 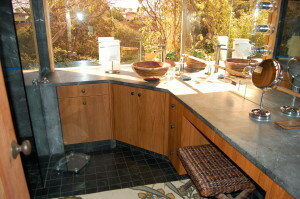 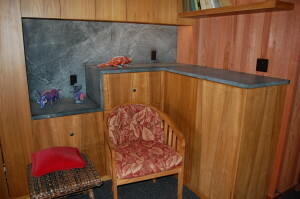 The walls, shower, counter tops, rim around bath tub, and even much of the cabinetry are all soapstone. 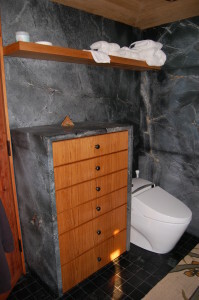 Some extras that are unique to this house are; we hand sculpted soapstone to create a beautiful place for the radio on the bathtub, also there are soapstone drawers that hide in the soapstone walls (one of the pictures below shows one of the drawers popped out, but look at the walls too and you will spot even more hidden compartments) this makes for a perfect place to keep jewelry or whatever you don’t want sitting out, and they look amazing! 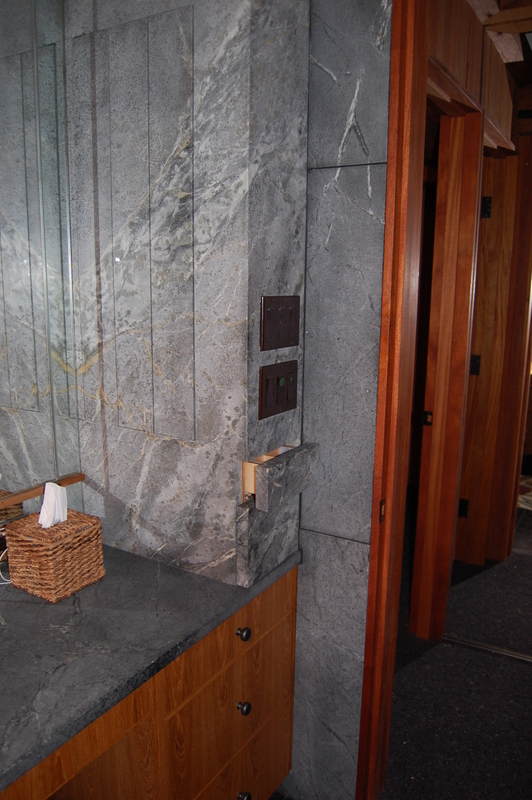 Soapstone went beyond the bathroom and throughout the house to add dimension to the office space as well as an accent wall of soapstone in one of the bedrooms. We also added soapstone planter boxes that are a perfect choice for outside the glass windows. The owners of this house decided not to treat their soapstone with the traditional oiling process for soapstone. 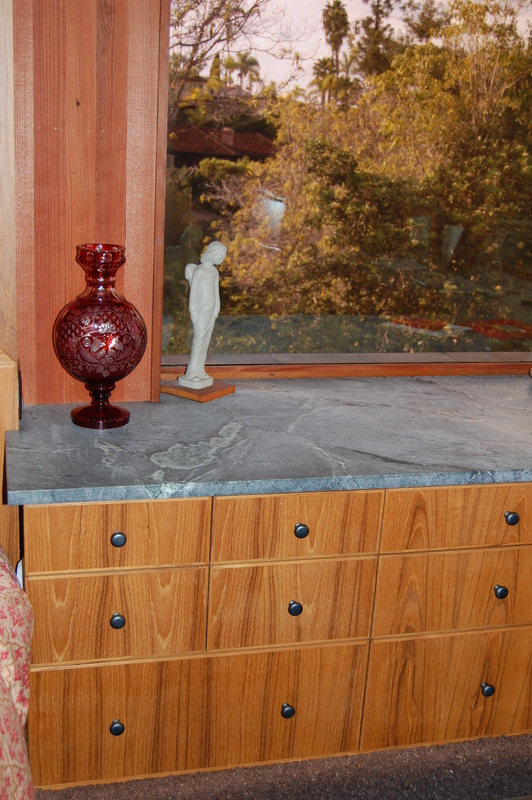 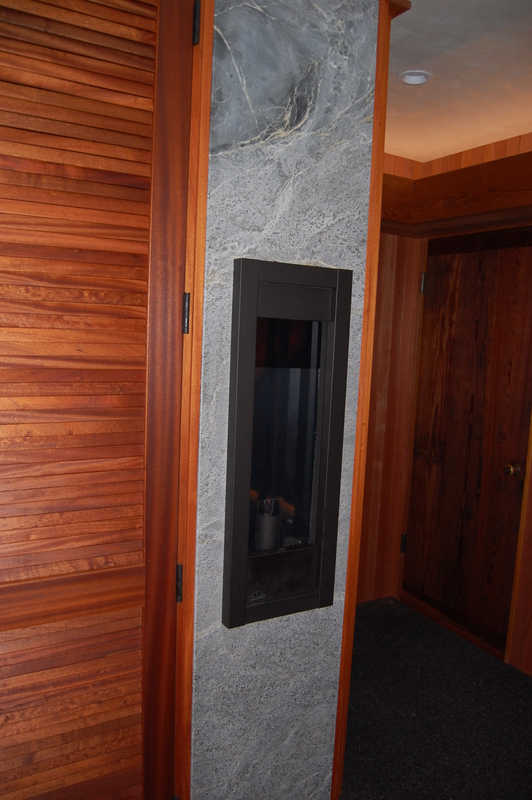 We really like how this soapstone looks in its natural state! 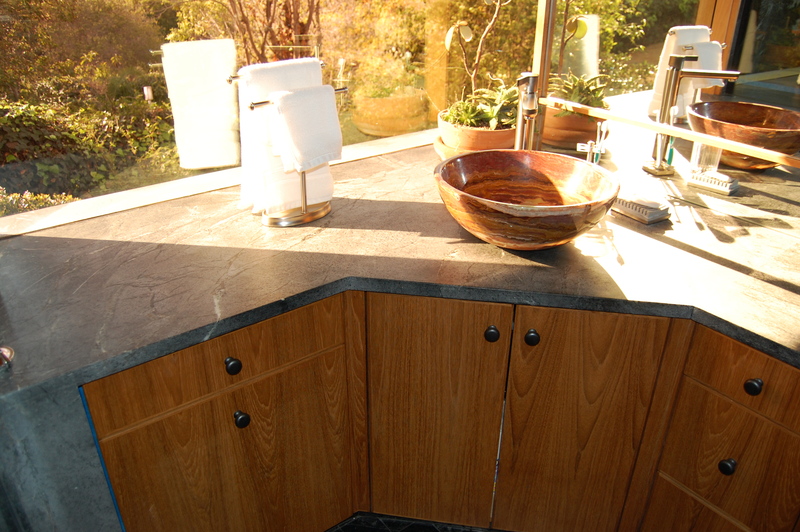 And for those who don’t want to oil their soapstone this is a perfect example of how gorgeous soapstone is with or without oil. Is it possible to have too much soapstone? We don’t think so! 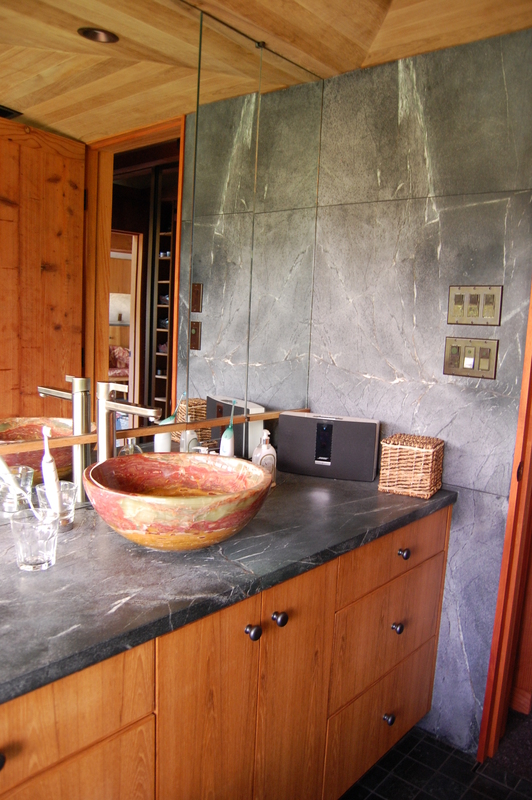 Soapstone adds incomparable beauty to any home and is the perfect choice for anywhere in the house.